Quality housing lies at the heart of a community, triggering many other benefits in its wake. People who live in homes designed and built to a high standard will usually keep them looking neat and tidy, often inspiring their neighbours to follow suit. As they take pride in their area they will come together as a community, stimulating social activities, job opportunities, economic growth and prosperity that can lead to further improvements in roads, public transport, health services and schools, for example. 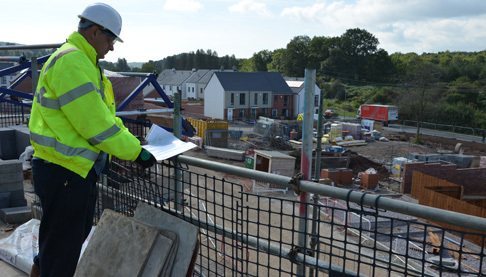 We are committed to supporting the regeneration and improvement of our towns and rural areas – creating great, quality homes for people today, supporting and enriching communities and creating a legacy that will serve future generations. Two Rivers Developments is the construction arm of Two Rivers Housing and trades under the name of Tandem Living. We believe good design should feature in all aspects of a housing scheme, right from the initial master plan through to the finer detail. We seek to achieve a contemporary style sympathetic to the existing neighbouring buildings and landscape. We work with local stakeholders throughout the whole process, talking to councils, residents and other interested parties. We always seek to build new homes that are efficient to heat and light and limit the amount of water used. This keeps running costs to a minimum, whilst conserving our planet’s vital resources. We work with local contractors and suppliers wherever we can, to support employment for people who live within our communities and to keep the miles travelled by both people and materials to a minimum and reduce carbon emissions.